Authorities rounded up about 250 people yesterday (Thursday, May 25) after receiving tip-offs about the presence of “suspicious-looking persons”. Joint forces of the Task Force Davao and the Davao City Police Office swooped on the barangays of Bucana and Mini-Forest in early morning raids. Tagum said the individuals were considered “persons of interest” since they could not present proof of identification. The “persons of interest” are now at the DCPO headquarters to undergo a “verification process.” They are not under arrest. Tagum said their operation is part of their effort to prevent the entry of terrorists in one of Mindanao’s biggest cities. 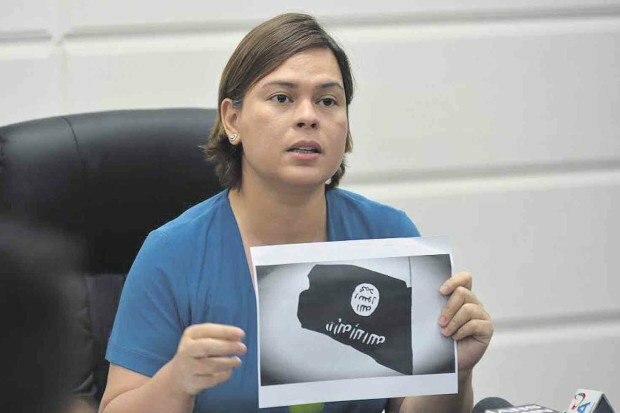 On May 24, Davao City Mayor Sara Duterte-Carpio said the city is on a “hold and secure” status, meaning the local government is preventing a spillover of the violence in Marawi City from reaching Davao. Government forces and members of the Maute group have been engaged in sporadic firefights in Marawi City since Tuesday. To date, there are 22 dead — 13 from the Maute group and nine government troops, officials said. Many millions of poor Filipinos cannot present proof of identification, because they don’t have one. They struggle to even feed & clothe their families. Now 250 families will be even more poor as their dads/husbands are unable to work while sitting in overcrowded, filthy jails for the “crime” of looking suspicious while not having IDs. Now millions of desperately poor people will have to find a way to buy IDs. Duterte has been waging a War on the Poor, not a War on Drugs. The wealthiest drug lords get released from custody without a trial, while poor drug suspects get murdered without a trial. Why would Duterte want to slaughter the poor? His heroes Stalin & Mao did. Marxism is inextricably linked to Darwinism. Hitler was also powerfully influenced by Darwin. Weed out the weak to make the race stronger. Ian Rees wants a country where people are arrested for criticizing the government’s abuses. Interestingly, Ian Rees does not seem to disagree with any of my observations. He only thinks I should not tell them. Ian Rees, One day you will be right. We are not allowed to get involved in politics here and i am sure one day that will include speaking out about it. As mad as it seems we have to let things unfold and bite our tongues. Now wait a sec. even if they have no I’d. They can still prove who they are by having a local barangay give facts as to their authenticity, so that’s bull butter. Got to better then that to make them look like poor folk getting it by there government.